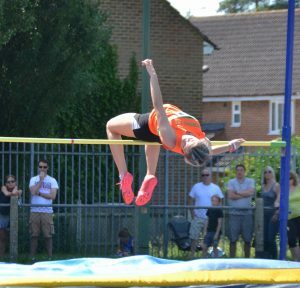 ATHLETICS: ORANGE was the colour of the day when Woking Athletic Club hosted the second race meeting in the Wessex League last Sunday. Competitors from under-11 right the way up to under-17 were out in force at the Sheerwater track, as Woking looked to continue their run of good form. There were notable performances from academy graduates Matthew Smith and Hayden Christian in the under-13 age category.